Harlin, who knows the internals of Subaru engine better than just about any one. He has an amazing natural mechanical gift and personal drive that is nothing but stellar. We have an amazing mix of skills in our team that really make both of our shops shine when it comes right down to diagnosing and repairing every part of your Subaru and the most popular Asian cars in the Gorge. Take your car to either shop, whichever is more convenient. Sales tax in Klickitat county (I’m not in city limits) is 7%. My cost of operations in Hood River, in a zero tax state, is about 30 to 35% higher than operating in White Salmon. Start with a property and building that’s only 40% the size as the one in White Salmon but cost me 70% more to buy or lease. Next utilities are 40% higher even though I’m heating and powering a building that’s only 40% the size. And then there’s personal income tax on all my employees working in Oregon myself included. These are all factors. I have customers who want to have a repair done in Hood River to save sales tax. I get that. However we have just balanced the scales to make repairs done at either shop the same price. If a given repair is $100 in White Salmon with sales tax, it’s $100 in Hood River without. So bring your car to whichever shop will either be able to handle the repair faster or is more convenient to you. Most larger repairs are actually done at the White Salmon shop anyway, even if you drop them off in Hood River. 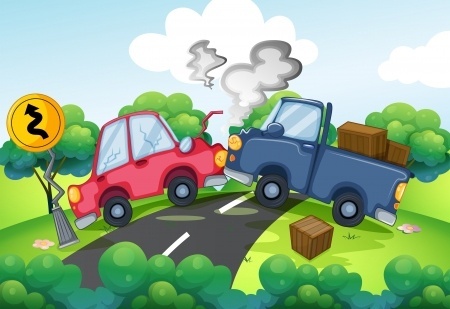 GAP insurance may help offset the difference between the money an insurance company is willing to give you and the actual value of your car if your vehicle is totaled. I have seen a few totaled cars lately that were not caused by the owner. Sometimes the paying insurance companies have left the owners 20 to 30% short of actual replacement costs, especially after titling the replacement car. I’m not saying it’s perfect for all owners, but it’s something to look into. It’s tough to face the fact that replacing your car could cost you a couple of grand, even if the wreck isn’t your fault. For instance: You buy a car that stickers for $24,000 and rolls out the door with taxes and fees for $26,500. You put down only $1,000, sign your financing papers, get a car insurance policy and drive off the lot. Nearly a year later, your “new car” is totaled out. You file a collision claim with your insurer and find out that the actual cash value of your vehicle is only $19,200. This means after your $500 deductible is taken out, your car insurance company will pay out $18,700 to your lienholder. You still owe $23,500 on the car, so you’re left with a “gap” of $4,800. With a gap insurance policy that includes coverage for your deductible, this whole amount would be covered. If you didn’t get gap insurance, you’re left paying the difference out of your own pocket for a car you no longer have – and that hurts, because you’ve got to buy another car, too. Let’s talk about winter tires. The recent storm has made me think I should share some tips and thoughts about winter driving and the tires you should have on your vehicle. Things to avoid with winter tires. Aggressive driving. Stopping taking off and stopping in an aggressive manner. This wears your tires faster than normal tires and damages or even rips studs out. Aggressive driving lessens the lifespan of winter tires drastically. They’re made of softer rubbers than summer tires. Choosing the right tire for winter here is tough. We have such a weird mix of winter weather and even weirder drive cycles and roads. Given that we bounce in and out of freezing till May, there are a variety of things to consider. Local drivers that don’t do a lot of highway driving but do commute early in the morning when it’s icy. Drivers who have steep hills/driveways or ski benefit most from studded winter tires. People that commute to Portland, The Dalles, or do just a lot of highway driving may want studdless winter tires. They have a quieter, smoother feel at higher speeds and do not wear our roads out as fast. They still deliver a modest amount of traction when it’s really bad. 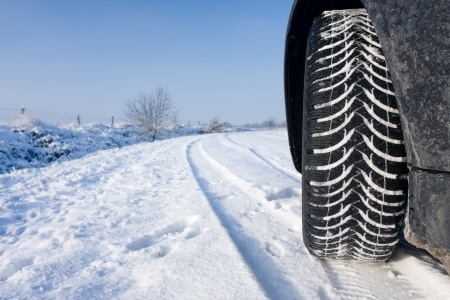 Drivers that can avoid driving when it’s really bad often times are just as well off with an aggressive all season tire that fits their particular type of car and driving habits. And an all-wheel drive car like a Subaru might be a wise choice. Forget about all the gadgets and additives that make incredible promises. Keep your windows closed at highway speeds. We realize it’s hard to figure out what maintenance your car needs. We have access to all manufacturer’s recommended maintenance schedules and can advise you when your car needs what. Give us a call and we’ll help you out.